Amazon.com will be glad to take your returns and refund your purchase but here is what you need to know according to Amazon.com website. So, you have received the wrong size sweater for Christmas this year? The shoes didn’t fit? or you simply found the same item cheaper elsewhere? Amazon.com will be glad to take your returns and refund your purchase but here is what you need to know according to Amazon.com website. Neighborhood Parcel will gladly accept your prepaid UPS and FedEx Returns, our convenient location can help you save time and money. 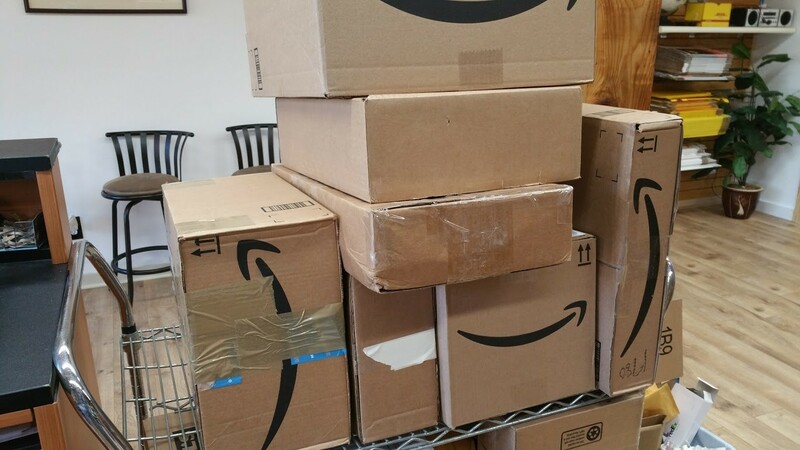 For over a decade, Tewksbury, Dracut, Lowell, Wilmington and Chelmsford MA Area residents trusted us to handle all their Amazon, Zappos, Dell, Walmart and Apple returns. Prepare your package for return. Pack your item securely, inserting any paperwork that was included when you requested your return from the Online Returns Center. If you don’t have the original product packaging, use a sturdy box and include padding such as packing bubbles or newspaper. Attach your UPS return label to the package. Ship your return based on the return shipping option you selected. For more information on the return shipping options. Depending on the items you’re returning and the reason for your return, your shipping methods may vary for your Amazon.com return. U.S. Postal Service: We provide you with postage-paid mailing label to return the package and give it to your postman or take it to your local post office. FedEx Carrier: We provide you with a return shipping address, and you provide and pay for your own mailing label using the carrier of your choice. UPS drop-off: We provide you with a pre-paid shipping label for your return package and take it to an authorized UPS shipping location. (We’ll show you a list of drop-off locations in your area.) This option allows you to track your package on its way back to us. Ready To Ship Your Amazon Return? You can use your original Zappos.com box you received, or any plain, unmarked cardboard box to ship your return. Attach your new return label to the shipping box. Tape your UPS return label to your box then drop it off at any authorized UPS Shipping Center. PLEASE DO NOT USE A UPS DROP BOX – you must drop off your return at a UPS Service Center – thank you! You UPS Service Center Nearest to You. Once you drop off your return at UPS, please allow 4-5 business days for your return to reach our warehouse. Neighborhood Parcel will be happy to retape and document your return, minimum fee of $1.00 will apply. I am glad I have this UPS location in my Neighborhood. I no longer have to travel to the UPS store in Wilmington or Chelmsford. Neighborhood Parcel is right of Main St, plenty of free parking, clean location and friendly staff. I love the service.